Are you one of the half a billion people affected by this. If you have downloaded a 3rd party Flashlight/Torch App on to your Android phone or tablet the chances are that somebody else has got your browsing history, passwords and contacts. The top 10 Apps of this type on Google Play Store are all suspected of stealing your data. Where is my stolen data being stored? Probably Russia, China or India. These are the top three countries stealing your data with these apps. To avoid your data being stolen check out the size of the App. If it is under 1MB it is probably safe, you do not need too much software to turn your device into a torch. I am lucky in that my HTC One comes with a HTC Torch which I trust. So before you delete your App check where it has come from. If it is from the device manufacturer it is probably safe. If the App is over 1Mb and many of the top ones are over 5MB what is all that extra software doing, because it is surely not just turning on the lights!!! If you have to delete one of these Apps you had better check out the video below. It involves a lot more tedious work than just pressing the delete button to do it right. We are not naming Apps here for legal reasons but just go and look at the Play Store and check out the size of the Apps yourself. There are a few around 500K - how can they do it? Also check out what permission levels they are looking for. They only need access to your camera/microphone and LED light anything more and run a mile away. Many commentators have said it is on YouTube. But they obviously didn't see the complaint from the Federal Trade Commission in the US this time last year about one of the most popular apps 'Brightest Flashlight' which is listed 4. in the Play Store. We have listed their complaint below for you to read. We are not blaming Google Play Store for this, they have a totally open platform unlike Apple Store which plays a role in censoring the Web. It is better to have total freedom, but you just need to be more careful about what permissions you give an App. Consumers also were presented with a false choice when they downloaded the app, according to the complaint. Upon first opening the app, they were shown the company’s End User License Agreement, which included information on data collection. At the bottom of the license agreement, consumers could click to “Accept” or “Refuse” the terms of the agreement. Even before a consumer had a chance to accept those terms, though, the application was already collecting and sending information to third parties – including location and the unique device identifier. The settlement with the FTC prohibits the defendants from misrepresenting how consumers’ information is collected and shared and how much control consumers have over the way their information is used. The settlement also requires the defendants to provide a just-in-time disclosure that fully informs consumers when, how, and why their geolocation information is being collected, used and shared, and requires defendants to obtain consumers’ affirmative express consent before doing so. The defendants also will be required to delete any personal information collected from consumers through the Brightest Flashlight app. The FTC will publish a description of the consent agreement package in the Federal Register shortly. The agreement will be subject to public comment for 30 days, beginning today and continuing through Jan. 6, 2014, after which the Commission will decide whether to make the proposed consent order final. Interested parties can submit written comments electronically or in paper form by following the instructions in the “Invitation To Comment” part of the “Supplementary Information” section. Comments can be submitted electronically via the Commission’s comment submission page. Comments in paper form should be mailed or delivered to: Federal Trade Commission, Office of the Secretary, Room H-113 (Annex D), 600 Pennsylvania Avenue, N.W., Washington, DC 20580. The FTC is requesting that any comment filed in paper form near the end of the public comment period be sent by courier or overnight service, if possible, because U.S. postal mail in the Washington area and at the Commission is subject to delay due to heightened security precautions. If you own a website you've probably wondered how you can ensure customers who visit your site enjoy a positive experience, maximising the chance they will make a purchase. The roadshow will highlight how to navigate such a tough process effectively in order to boost return on investment and gain greater engagement and loyalty from customers. The conference will produce significant networking opportunities for those in eCommerce with speakers at the event including Easons, Cisco, Tesco and F&F Clothing and attendees such as eBay, Aviva, Unilever, World of Electronics and Lifestyle Sports. Independent.ie is the media partner for this event. Cryptocurrency is the digital equivalent of cash across the internet. It can be freely exchanged with other people in exchange for goods and services. Following the success of Bitcoin, there are a lot of alternative digital currencies that are trying to become the defacto standard for use across the internet and many others just trying to find their own “niche”. Gcoin’s user base is growing at a rapid pace. New games, Android wallet, active trading at Bleutrade, and more. GCoin is aiming to be included on the list as one of the first digital currencies to go mainstream. The developers behind this have tried to look at some of the drawbacks and criticisms of other cryptocurrencies like Bitcoin and tried to better them. The barrier to entry into the system for some of the currencies is quite high. Bitcoin for example requires a complex and expensive machine to mine Bitcoin. In the case of GCoin, even a modest machine can be used to mine it so almost anyone who is interested can join in and start earning GCoin. How Many GCoins Will Be Available? All the cryptocurrency algorithms come with a built in limit to the maximum number that can be produced. 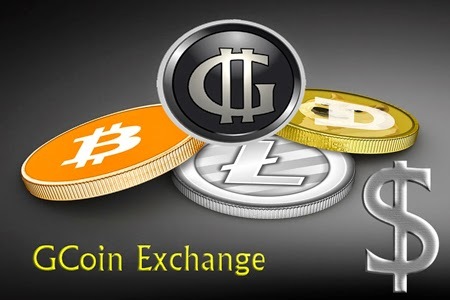 One of the disadvantages (or advantages – depending on your perspective) of these currencies is that they don’t have many coins in circulation and can be extremely volatile in price because of it. Bitcoin for example has seen valuations double and then promptly halve again in a matter of a few days. GCoin has looked to fight this inherent volatility by increasing the number of currency in circulation. A total of 200 billion GCoins can enter into circulation before it hits the maximum limit. If everything works out then the large distribution of GCoin will insulate it from volatility, increasing both investor and consumer confidence in the currency. Where Can You Spend/Use GCoins? This is one area that the GCoin foundation is working on at full pace to get the acceptance level of its currency on par with Bitcoin and then look to surpass it. There are casino games like Slots that can be played with GCoin currently (see below) with an app and wallet available in the Google Play store. Bitcoin has led the path in becoming a credible currency and one that is accepted across a wide variety of companies and countries. Being accepted as valid tender by companies like Dell, Overstock.com and other corporations has added a lot to its credibility as well as the cryptocurrency movement as a whole. Alternative currencies may have a tough road ahead of them and the only way to win this race is to provide a compelling, safe, widely distributed and readily accepted option, and Gcoin is striving to make a difference in the competitive realm of cryptocurrency. Visit the main Gcoin Website. 1) Tron. We are in full programming mode here. I expect this game ready well before Christmas. You will win GCoin here. 2) GCoin Breaker. Written by Dekker3D. This gem is in production. A new version of the classic with some real surprises including competitions and 3rd party viewing !! 2) Gcoin Dice http://gcn.dice.cryptospot.me/ This is for the big gamblers. You can lose here. 2) Get paid GCoin for Facebook shares, Twitter tweets & other advertising. 3) Mine GCoin at one of 3 pools mentioned at www.gcoin.us or you can solo mine. Users: Nearly 1000 downloads of our Android app.